The cheat's version. 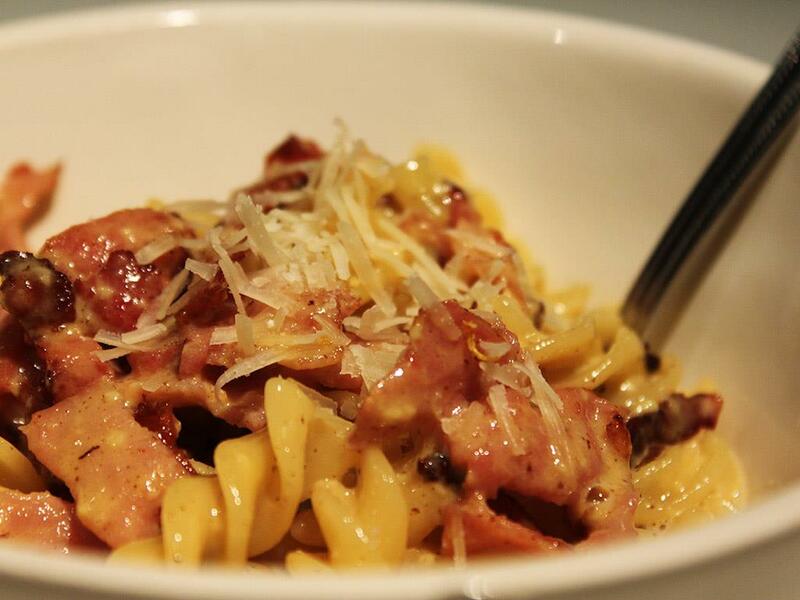 Fusilli pasta, bacon lardons covered in a sauce made from eggs, parmesan and cream. Yes cream, not completely authentic but it is seriously delicious! Place a frying pan on medium to high heat. Sauté the bacon strips until crispy. In a bowl, whisk together the eggs, cream and parmesan cheese (reserving a little cheese for the garnish). Once pasta is cooked, drain and place back in the pot along with the bacon and the egg mixture. 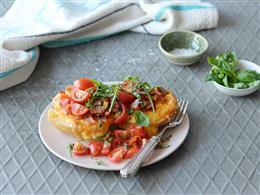 Stir until well combined over very low heat – you want a nice creamy sauce and not scrambled eggs. 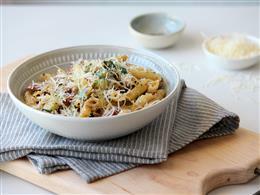 To serve, place the mixture in the bowl and scatter with a little grated parmesan.